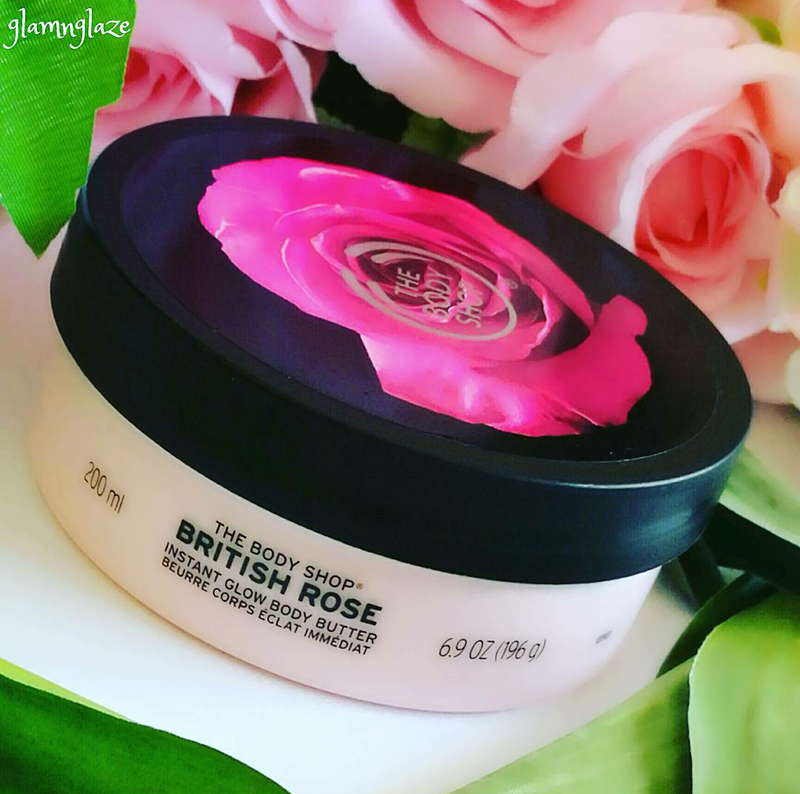 Body care is very important and what better can be than using a good body butter which has rose - extracts!Sounds interesting...yeah!Today, I am going to share my thoughts on the The Body Shop's British Rose Instant Glow Body Butter. The product comes in a plastic-tub packaging.The packaging is really very attractive.Tub is of pink colour and the plastic lid is of black colour with matte-finish. All the details like quantity,shelf-life,ingredients are mentioned on the packaging.Tub-packaging is sleek, firm and very much travel-friendly.The twist-open lid gets closed tightly enough to avoid product-spillage.Overall,nice packaging...I must say...thumbs up. 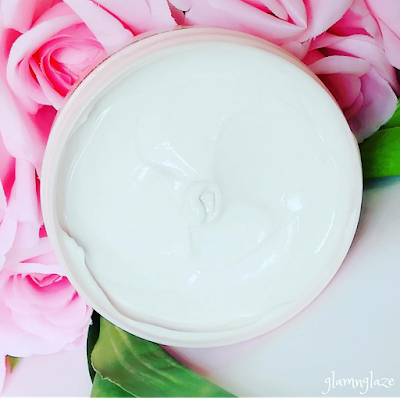 Firstly,as soon as we open the black-lid we can smell the rosy-scent which is very calming.The pale pink coloured body butter has a silky smooth texture.The body butter is of white colour with pink hues to be precise.The product has a whipped cream like consistency which is not thin or runny.It's not thick at all and is just the way I like.The body butter has awesome ingredients like Glycerin ,Soybean oil,shea butter and rose extracts.Glycerin and shea butter are meant to keep the skin healthy and glowy. Soybean oil helps in protecting from the harmful UV rays.It helps in calming the skin that was damaged due to sun rays.Soybean oil is very beneficial in the treatment of skin damages which are occurred due to air pollution as well.How cool is that!! !Really nice.Rose extracts have been used in appropriate amount,just the perfect amount that's not over powering and artificial.In fact it's very real,feels like we are somewhere near a rose-garden!I basically purchased this body butter because of it's rose-fragrance.But, I'm loving the product as well. Scoop out the product and apply on the skin ,rub in circular motion.It gets absorbed into the skin very quickly and seamlessly. Not at all greasy.I would say less is more.Do not apply a lot on your skin.Scoop out less product at a time and apply.Scoop again only if required or you feel like.If we apply a lot of product,it tends to get oily/greasy.As the time passes the greasiness goes away though. Leaves the skin feeling really silky soft and supple.Using this product regularly definitely gave good results. 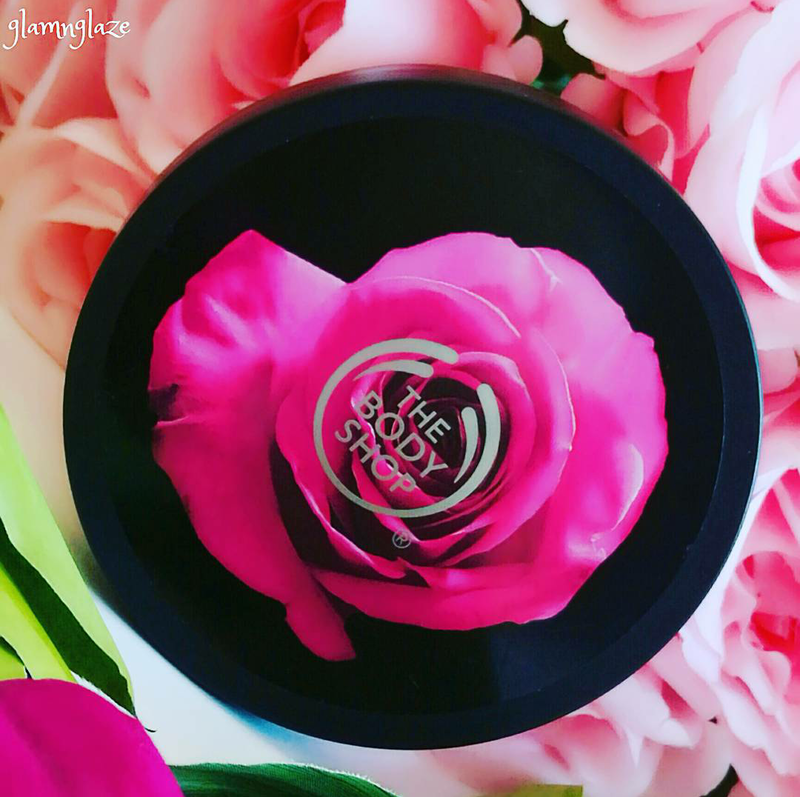 The rose-scent of the body butter is very nice and lingers for a long time on the skin.Love it. Can be used anytime , any season , be it summer or winter. Tub packaging allows easy product contamination.Always use a spatula to scoop out the cream from the tub. Not budget-friendly,but,it's The Body Shop.We are paying to get a good quality product...aren't we? 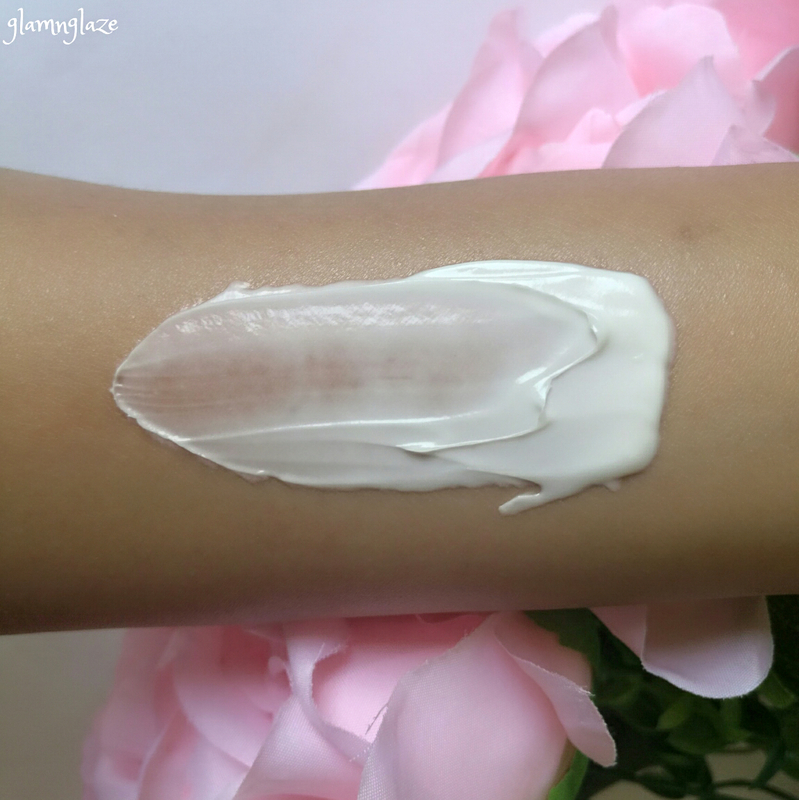 Overall,I really enjoy using this body butter.The rose-fragrance is very soothing and refreshing.The texture is smooth and product gets absorbed into the skin quickly.Makes skin feel soft and healthy.Takes care of the skin and cures skin-dryness very well.I highly recommend this body butter to people with normal to dry skin.I am very sure that you will love it too and enjoy it thoroughly.No wonder this is my current favourite body butter.Also,do check out all the products in the British Rose collection.The body scrub,shower gel, body mist are etc. fantastic and worth trying. P.S. 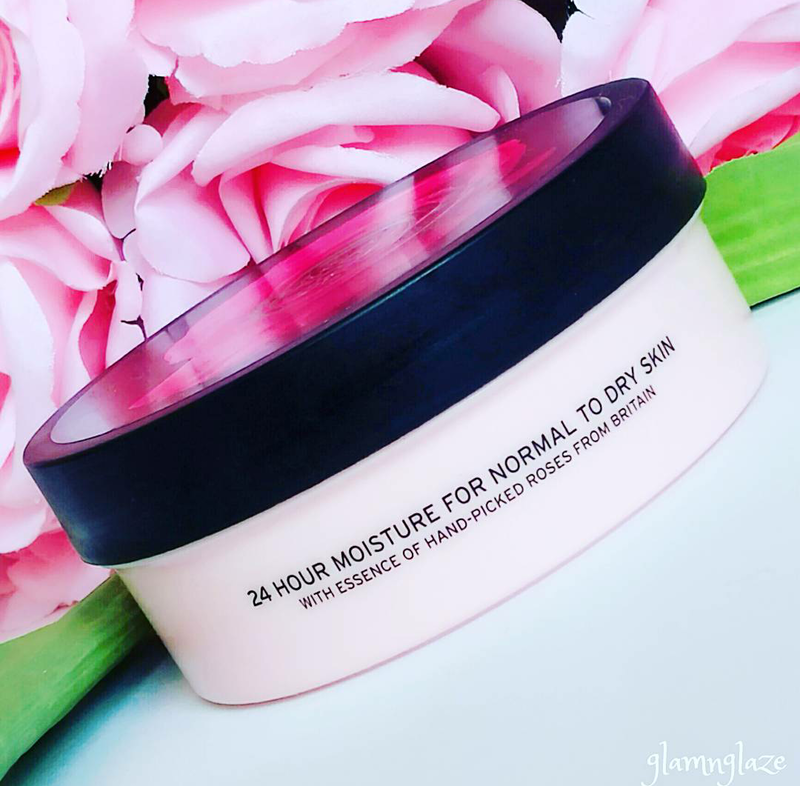 Recently I restocked this product and I had used this product in the past as well.Loved it to bits.That's why, I am here to share the product-details and my experience with you.